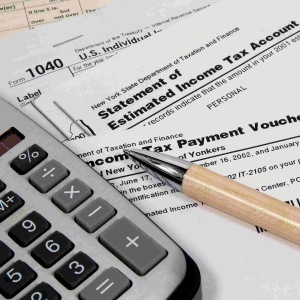 Tax preparation is a stressful process with taxpayers wary of the complicated paperwork that could easily get the returns flagged for an IRS audit. A survey conducted by Nerd Wallet indicated that one out of every four taxpayers worry about the possibility that their tax paperwork could be flagged for an audit, which may be an unfounded concern. The IRS deploys a flagging process that combines human protocols and automated systems to identify which returns may be audited. The process consists of comparing all returns to statistical norms and flagging the returns with anomalies. Some of these audit red flags can be avoided while other factors are intrinsic to the tax filer. Employers are required by law to report all compensation paid out to employees and contractors. Employers may report the salaries and fees paid out on a W-2 or a 1099 form. The IRS is able to ascertain if wages, salaries, interest, dividends, tips and commissions received for the year are reported. Additionally, cash wages from part-time jobs, prizes and cash awards, gambling proceeds and other income from all sources from any country are taxable unless specifically exempt under IRS guidelines. Failure to do so may trigger an audit. The IRS audits less than one percent of all returns filed according to the Motley Fool. The probability of being picked for an audit increases in the higher income brackets. Tax filers reporting an income over $200,000 for the tax period are more likely to be subjected to an audit especially when the returns include errors such as under-reporting income. Taking business tax deductions is par for the course for anyone with a job or who may be running a business. However, be warned that the IRS takes a close look at business deductions, comparing reported deductions with statistical data for the occupational code. Additionally, the agency frowns on commingling business and personal expenses. It is advisable to pro-rate deductions such as travel, hotel and meals if the trip was a combination of business and pleasure. Tax returns that include income, dividends and assets in foreign banks may be subject to an IRS audit. The Foreign Account Tax Compliance Act compels anyone with such accounts to report the name of the institution and the peak value of the account in the reporting period. In previous years, U.S. tax filers with foreign accounts simply checked off a box to acknowledge owning such an account, but current laws require more transparency for tax purposes. The IRS has an extensive database of statistical norms for each occupational code. Be wary of deduction amounts that may be disproportionate to income even when said income does not pass the $200,000 threshold. In general, deductions higher than 20 percent of the norm for the tax filer’s profession will send up a red flag for closer examination. The agency may be focusing its audit resources on high-income filers, but they will not hesitate to crack down on returns with glaring omissions, errors and egregious deductions. The best way to audit-proof tax returns would be to make sure that income reported is all inclusive and accurate. Deduction amounts should be reasonable. That said, the best defense in case of an IRS audit is to have complete, organized and verifiable records and documentation to back up the numbers reported in tax filings.